Home China Glaze	Vampy Varnish 10th Anniversary Giveaway with China Glaze! 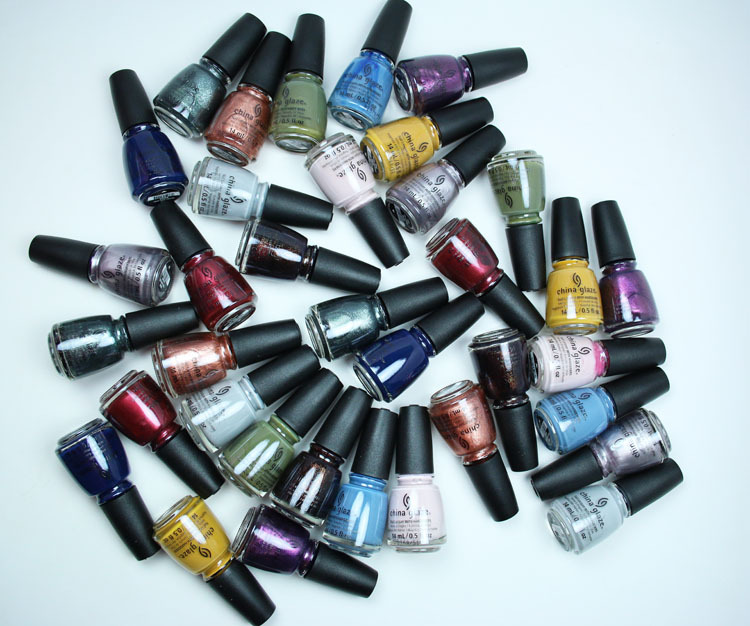 Vampy Varnish 10th Anniversary Giveaway with China Glaze! I have partnered with China Glaze for today’s giveaway Three people will each win the entire China Glaze FW’18 Ready To Wear Collection (12 shades)! PLEASE NOTE: I am opening this worldwide, however, you will be required to pay shipping whether in US or International. I simply do not have the funds to ship all these out, but I did want everyone to have the chance to enter. Please let the widget load below and make sure to check out all the various ways to enter for more points! Happy Anniversary! I’ve followed you for the last 5 of your 10 years. I’m not going anywhere and hopefully neither are you! Congrats on 10 years! You have been one of my favorite bloggers to follow for both makeup and polish over that time – thank you so much for all your hard work. I spent so much time enjoying your writing and photographs over the last decade. Congratulations on 10 years! I am so grateful that you, your fair reviews, and your great swatches are still around! I almost had a heart attack when I saw your post! I’ve been reading you for years! I love your “My favorite “posts, they always help me choose colors. My favorite polish brand is China Glaze, so I’m hoping hoping that I win. Congratulations on 10 awesome years! Happy Anniversary! I can’t believe it’s been 10 years–I’m glad you’re still here and still reviewing! 10 years, wow! I’ve been a long-time follower, and it’s so cool to see sites that I’ve followed for this long thrive. Congratulations on the longevity, and here’s to many more years of VV! Yaaaaaaay! Happy Birthday!!! Anniversary? I dunno. But happy happy and I hope you stick around for 10 more. Congratulations on 10 years!!! I love your blog and your Instagram page!! Happy 10 years! Thank you for being a pioneer in the polish world! I have to apologize because I thought I’d been following your blog all this time and I haven’t! Sorry! I’ve been missing out. I have been following your IG for several years now, though. Keep up the amazing work! Wow! Congrats on 10 years, Kelly! That’s amazing! Congrats on 10 nyears! your blog is amazing. I follow all of your media accounts and you and your fur babies have always helped cheer me up!